Thank you so much for an incredible night last night. We had 16 Friday Night Gamers attend in-person and 1 from home. We also had around 50 people participate in part or in full with our tournament that spanned every TrackMania environment across 3 servers. It. Was. Epic. EDIT: For those interested, check out the Tournament Results on the Friday Night Gamers website! 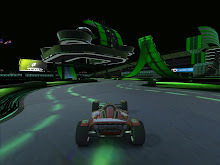 (Note that some participants have different logins between TrackMania and ManiaPlanet (TrackMania 2) so they will show up twice in the list until I have a chance to combine their scores and fix the list. It's accurate enough to see who the top 3 were. We really enjoyed playing with all of you and I will be posting a recap web page in the next week or so as time permits. For now, I leave you with a link to the recorded stream hosted by SiREN of the Frag Dolls and Johkr, our new TrackMania Community Manager for North America. We thank them for spending their Friday night with Team FNG and all of you as we celebrate the 10th anniversary of one of the greatest racing franchises ever made; and we thank them even more for spending an extra 30 minutes longer than scheduled to meet some of our crew and bring on some special guests into the stream, Nitroguy and Bush Monkey! We missed the Friday Night Gamers that couldn't be with us... it was a blast and we hope to see you next time. Make sure you catch the stream on the Frag Dolls channel of Twitch.tv to see what you missed (including my making a complete fool out of myself referring to Minato as a girl when he's not!) Here's a massive shout out and "GG!" to him, especially for taking first place in our tournament! A huge thanks to Nadeo, Ubisoft and the Frag Dolls for their support of our party. I can't wait to see what other fun we have in store come 14 December when the official celebration happens. Stay tuned in-game, on facebook, twitter and the ManiaPlanet blog to catch the other events surrounding the 10th anniversary celebration! 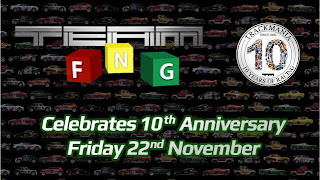 And one final thank you again to the many players around the world that shared in our celebration of TrackMania! You are what keeps us coming back for more. GG!